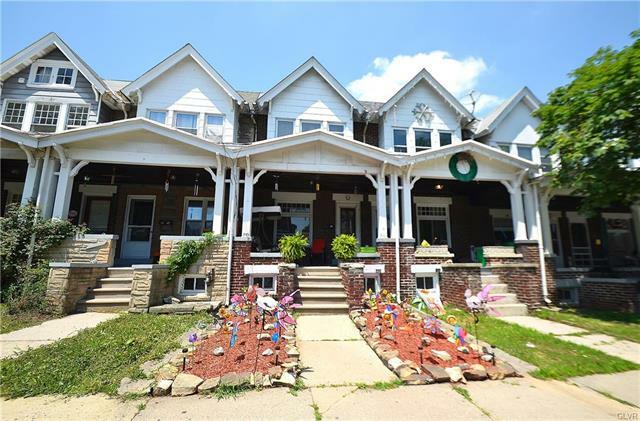 This two story row home has a fenced in yard & 3 large bedrooms! The home has great curb appeal with a spacious covered front porch. Upon entering, you will find a carpeted living room, formal dining room & kitchen with a door leading to the backyard. Upstairs are 3 large bedrooms & a full bath with skylight and wainscoting. Close to Rtes 78, 309, 22 and minutes from Downtown Allentown. Will not last long! Schedule your appointments today. Property is owned by a Pennsylvania Real Estate Licensee!